This aster is commonly found in bloom from spring until fall in agricultural fields and on disturbed sites. The 1-inch wide flower heads are made up entirely of yellow ray flowers –they look similar to dandelions. The flowers are held up on erect stems, well above the basal leaves. The deeply lobed leaves clasp the stem; multiple stems form an erect clump on the ground. There is another local yellow flower that resembles this one and it has a similar name. 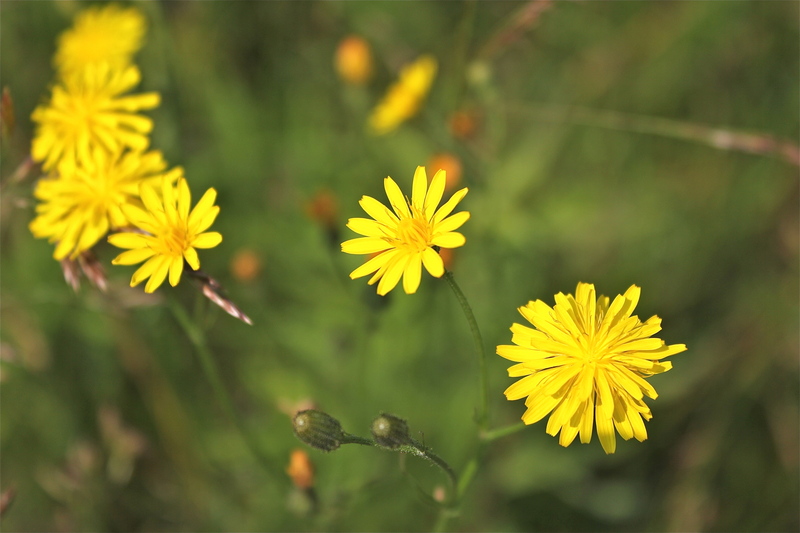 Check out yellow hawkweed. It has simple leaves and the entire plant is densely covered in coarse hairs.